Fleetwood Mac News: LOS ANGELES PREMIERE! 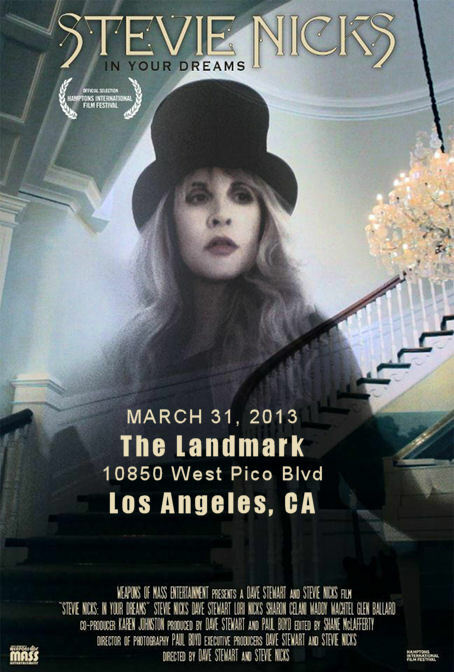 Stevie Nicks Will Appear In Person at "In Your Dreams" Screening! LOS ANGELES PREMIERE! Stevie Nicks Will Appear In Person at "In Your Dreams" Screening! Q&A with Stevie Nicks after the film at The Landmark!